A tourist favourite, this beachside paradise known as Koh Samui is not to be missed. One of Thailand’s largest islands, the province is renowned for luxurious resorts and spas, palm-fringed coastline as well as its 12-meter-high Big Buddha shrine! Situated off the east coast of Southern Thailand, this hotspot attracts all travellers with elaborate tropical rainforests, pristine ocean waters, exotic food culture and a myriad of exciting nightlife options. Koh means “island” in Thai, and Koh Samui is the largest of an archipelago of more than 80 islands – many uninhabited – located within the Ang Thong Marine National Park (The Golden Bowl). Koh Samui is a tropical paradise floating amid the South China Sea in the Siam Gulf. Being surrounded by crystal-clear waters, Renaissance Resort & Spa and Sensimar Resort & Spa gift you with the beach right on your doorstep. Wake up to soft lapping waves and a golden sunrise! Having hosted tourists for longer than most Thai islands, Koh Samui has perfected its offering. With daily adventure tours, a mix of thrilling and relaxing sea activities, access to local villages and world-class dining options, Koh Samui flaunts bottomless culture and history. 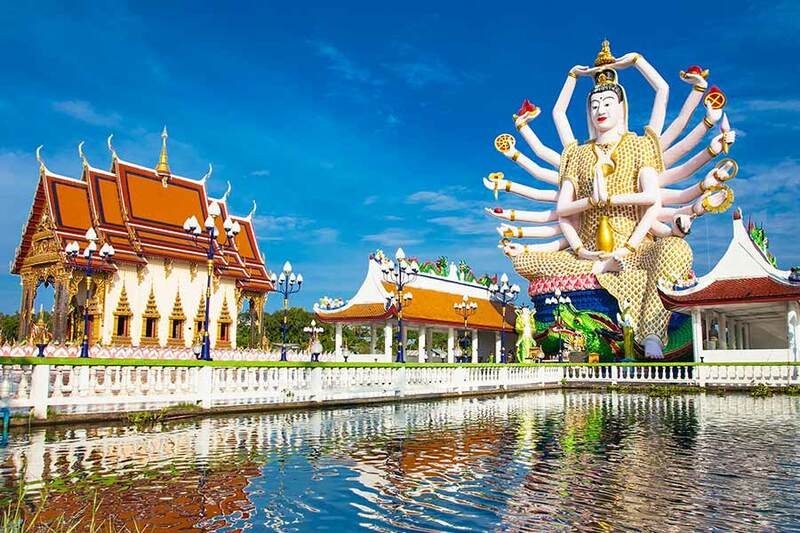 Other standout attractions include the Wat Phra Yai Temple, diversified landscapes flooded with sun throughout the year, numerous Buddhist landmarks, authentic hole-in-the-wall restaurants and the very welcoming locals. Whether you’re seeking secluded white beaches, exotic nightlife or lush forest trail, Koh Samui is the ideal balance between luxury and adventure. Ready to plan your next exotic escape to the land of smiles? Check out our My Thailand Hot Deals now to secure one of the best-value Thai holiday escapes around!